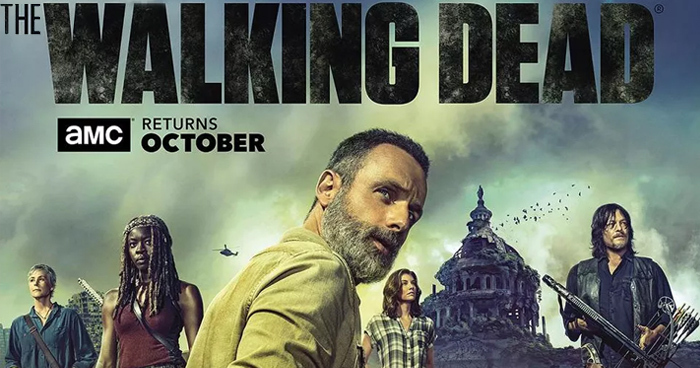 The Walking Dead season 9 premieres on Sunday, October 7 on AMC. If you have PlayOn Desktop, just browse into the AMC channel, find The Walking Dead, and hit "Subscribe" and PlayOn will automatically every new episode as soon as they come online. In PlayOn Cloud, you can record new episodes as they come online and store them in the cloud for as long as you need with an optional storage plan, or download them within 7 days to store your recordings locally. You can also Record All episodes that are available in both PlayOn Desktop or PlayOn Cloud. Downloaded recordings never expire. Don't have cable a subscription for AMC? Have you cut the cord or thinking about cutting the cord? You can sign up for live TV streaming services like DIRECTV NOW — it is much more cost-effective than paying for expensive cable packages and you can still watch quality entertainment like The Walking Dead and more. You'll also be able to choose from channel packages that make sense for you, without a lot of extra channels you don't need. Both PlayOn Desktop and PlayOn Cloud lets you record shows and movies from DIRECTV NOW. You can sign up for a 7-day free trial on the DIRECTV NOW website. Sunday 10/7: "A New Beginning"
Sunday 11/4: "What Comes After"
Sunday 11/11: "Who Are You Now"